Color – Warmth - Comfort – Ecological thinking – Quality; these are important words for us. 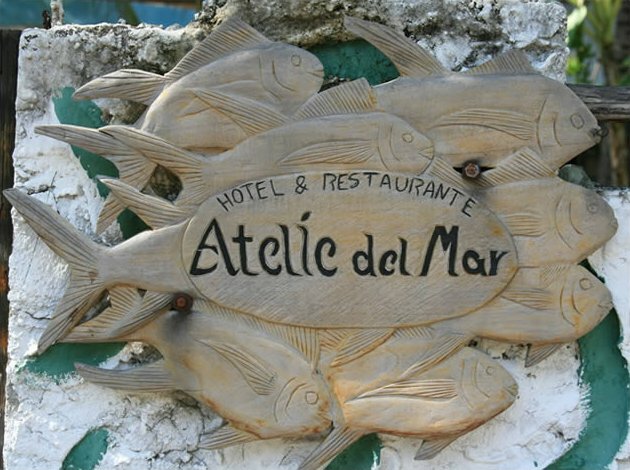 During the years that Hotel Atelie del Mar has existed, we’ve invested a lot of effort and money to improve the facilities of the hotel. We started with only fan in the rooms - now we have air condition and TV in all 16 rooms. Colors you will find in the garden, in the different buildings, in the surrounding nature and in the art of Violeta Marroquín seen throughout the hotel – in particular in our Art Gallery. We offer our guests wireless (WiFi) Internet for free. 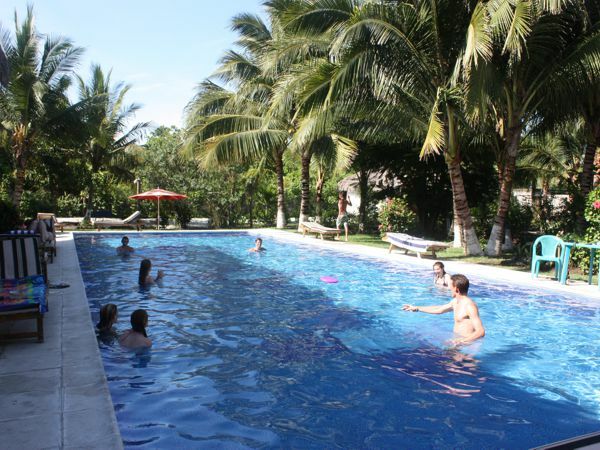 We have a small pool and a big pool (20 x 7 meters) where you really can swim. We do our best to recycle as much as possible and use eco-friendly soap and shampoo. Our priorities with Hotel Atelie del Mar have not changed. 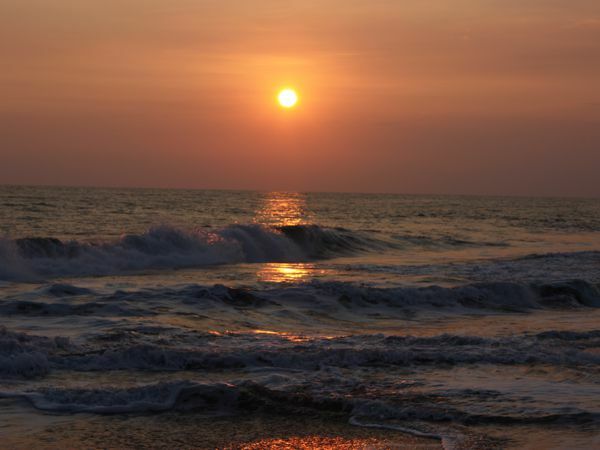 We offer our guests clean rooms and a tranquil and comfortable surrounding with excellent service and attention. Our restaurant is open daily from 8.00 am to 9 or 10.00 pm. 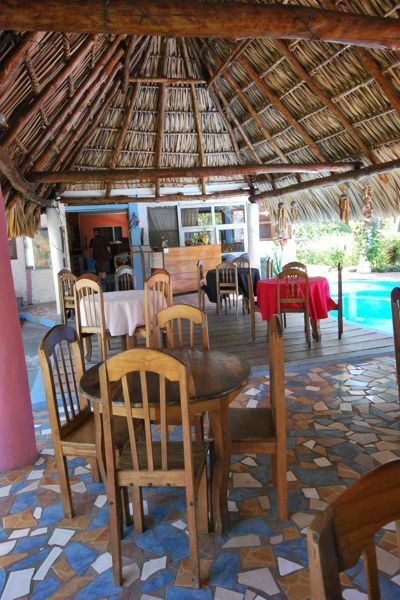 Here you can enjoy International and Guatemalan dishes with “our special touch”! 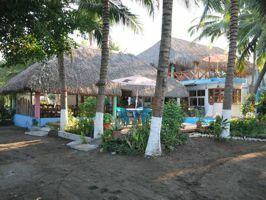 Specially we do recommend our many options of sea food or organic food. 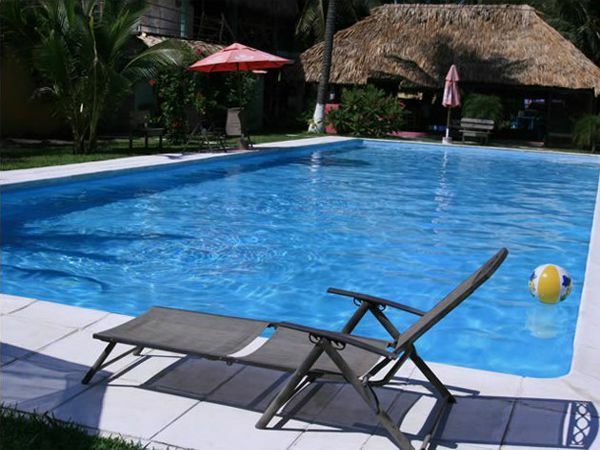 We still have the biggest pool in Monterrico and also a smaller pool where you can enjoy your drinks or meals sitting at the table in the pool. 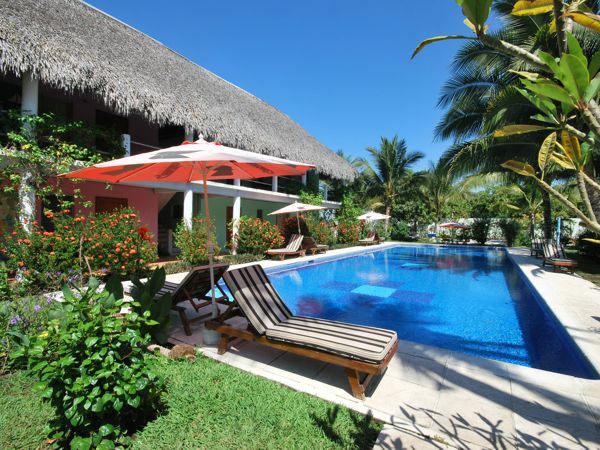 At the large pool you will find comfortable sun chairs where you can relax in the sun or in the shade. 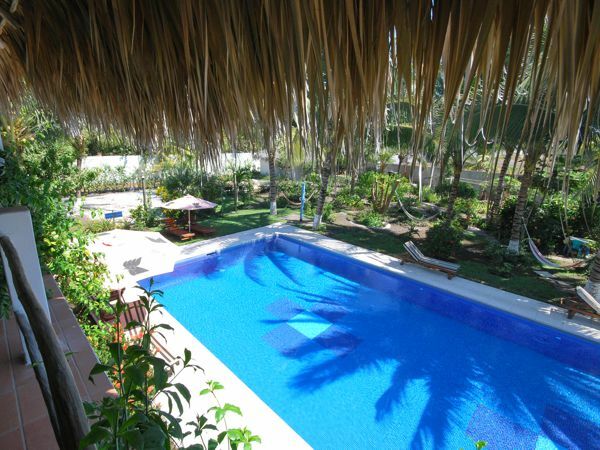 We have a large, colorful garden, where you also can see a lot of different (tropical) fruit trees. There are two different areas with hammocks where you can just relax in the shadow. We have Internet for our guests. The wireless connection is free for those who come with their own laptop. For using our computers we charge a very modest price. We have a small “library”, where our guests can exchange books – take one, leave one! You can talk to us in English, Spanish, French, Italian, Portugues, Swedish, Finnish, Norwegian, Danish and German. At our hotel you can enjoy the colorful art painted by Violeta Marroquín. Today you can find her works in for example Canada, USA, Belgium and all of the Nordic countries. We do have sufficient space for the cars of all our guests inside the hotel area. 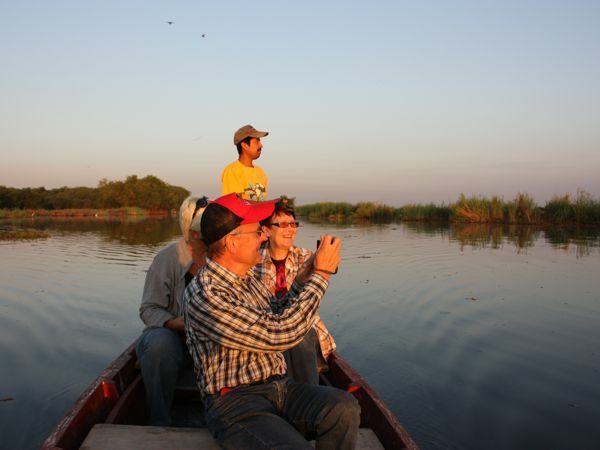 All the prices include BREAKFAST, VAT and the INGUAT (Guatemalan Tourist Institute) tax. All our rooms have A/C and TV. In filling out and sending this email you are not committing yourself to anything. Once all arrangements have been made you will be asked to pay a confirmation fee (normally 10%) that will be credited to you against the total value of your reservation. This non-refundable fee is required to confirm your reservation. To be clear, only once the confirmation fee has been paid are you, Hotel Atelie del Mar or the Tropical Travel Association committed to anything. 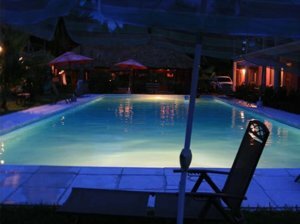 Hotel Atelie del Mar may have additional requirements and/or payments to hold your reservation up to and including full prepayment. Hotel Atelie del Mar must clarify these additional requirements (if any) before you are asked to pay the confirmation fee. Unless Hotel Atelie del Mar stipulates otherwise, after paying the confirmation fee you are free to cancel for any reason and without penalty up to three days prior to schedule arrival. Any later cancellation or a no-show will cause a billing of one night's lodging per the terms of your confirmed reservation. 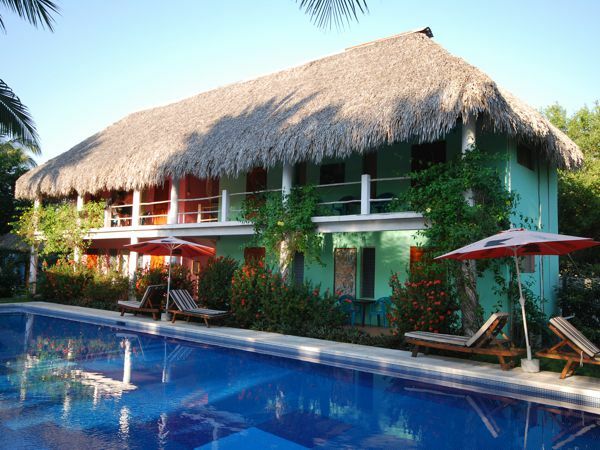 Hotel Atelie del Mar · Monterrico, Guatemala · Hotels · Guatemala's best Beach!